A snapshot of the Denver-area retail market. Source; CBRE. The article compared the current state of the mall ownership business to the recent housing crash. Another nationwide report, the 2017 Emerging Trends, from the Urban Land Institute ranked regional malls dead last of 24 commercial real estate food groups. The outlook for power centers was just about as bad, ranking No. 23. Outlet centers were just barely ranked “fair,” coming in at No. 21. Even the perennial retail favorite, neighborhood/community shopping centers, only came in at 16th place. In other words, the outlook for retail is pretty bleak. But I don’t have to tell you that all real estate, and all retail real estate, for that matter, is local. And the Denver retail picture appears to be quite a bit rosier. The average asking retail lease rate in the Denver area rose to $17.73 per square foot, the highest since 2009, according to a recently released fourth-quarter report by CBRE. 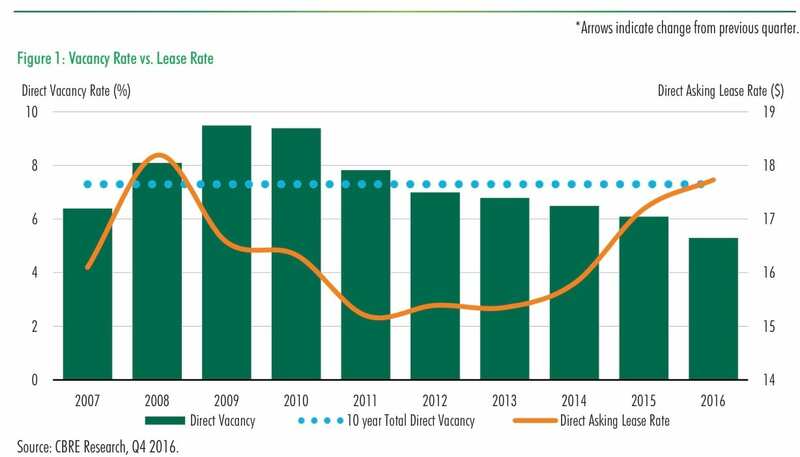 And last year ended with a direct vacancy retail rate of an all-time low of 5.3 percent, according to CBRE. Rising rents and lower vacancies are a nice recipe for any asset class. But that raises the questions: Is Denver experiencing a trend-bucking real estate Renaissance or is the market heading for a correction? If you want to learn where the retail market has been and where it is going, you may want to attend the 2017 Retail Summit & Expo, brought to you by the Colorado Real Estate Journal. It is the largest retail development, investment and leasing conference on tap for Colorado this year. More than 500 are expected to attend. It is being held from noon until 4:45 p.m. Feb. 16 at the Hyatt Regency Aurora-Denver Conference Center at 13200 E. 14th Place in Aurora. DDR owns Centennial Promenade, a power center with almost 750,000 square feet of space. The speakers and panel members cover a broad range of the retail industry. One panel member is Justin Cucci, owner and executive chef at restaurants like Root Down, Vital Down and Ophelia’s Electric Soapbox, which are so hip that Cucci has garnered attention from the New York Times and other national publications. At the other end of the spectrum, there is Daniel Sutherland from DDR Corp., a $5.5 billion market cap REIT. DDR has more than 4 million square feet of power centers in Colorado, with properties such as the 746,713-sf Centennial Promenade in its portfolio. My back-of-the-envelope calculation is that the almost two dozen panel members have been involved in more than $100 billion in retail ownership, development, leasing and financing. Together, they control more than 25 million sf of retail space. And get this: Collectively, they have more than 325 years of experience! Vital Root in the Berkeley neighborhood of Northwest Denver is one of Justin Cucci’s restaurants. Lizabeth Miskelly, president of the Rocky Mountain Shopping Center Association, will kick off the conference. The broker panel includes Jon Weisiger of CBRE, Tony Pierangeli of SRS Real Estate Partners, Michael McCormick of McCormick Equities, Justin Kliewer, Newmark Grubb Knight Frank, Brian P. Shorter, SullivanHayes Cos., and Tiffany Colvert, of NAI Highland. Stuart Zall of the Zall Cos will moderate the panel. The restaurant panel, in addition to Cucci, features Tom Mason of Bonefish Grill, Beth Gruitch, rioja, and Aaron Ruben, CraftWorks Restaurants & Breweries. The panel is to be moderated by Kenneth A. Himel of David Hicks Lampert. An update on retail financing features Adam Sands, Denver FirstBank and Kristian Lichtenfels, HFF. Mark Sidell of Gart Properties will moderate an investment panel that will include Steve Shoflick, Miller Real Estate Investments, Allen Ginsborg, NewMark Merrill Mountain States, and Sutherland of DDR. The development panel will include Tyler Carlson, Evergreen Devco Inc., Rick Turner, Kimco Realty, and Greg Ham, Cadence Capital Investments. 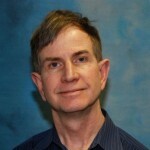 William Damrath of Regency Centers will be the moderator.